A Camouflage Bandana including one Bandana with camouflage design – Ideal for a Uniform theme, Army theme, or any fancy dress occasion! 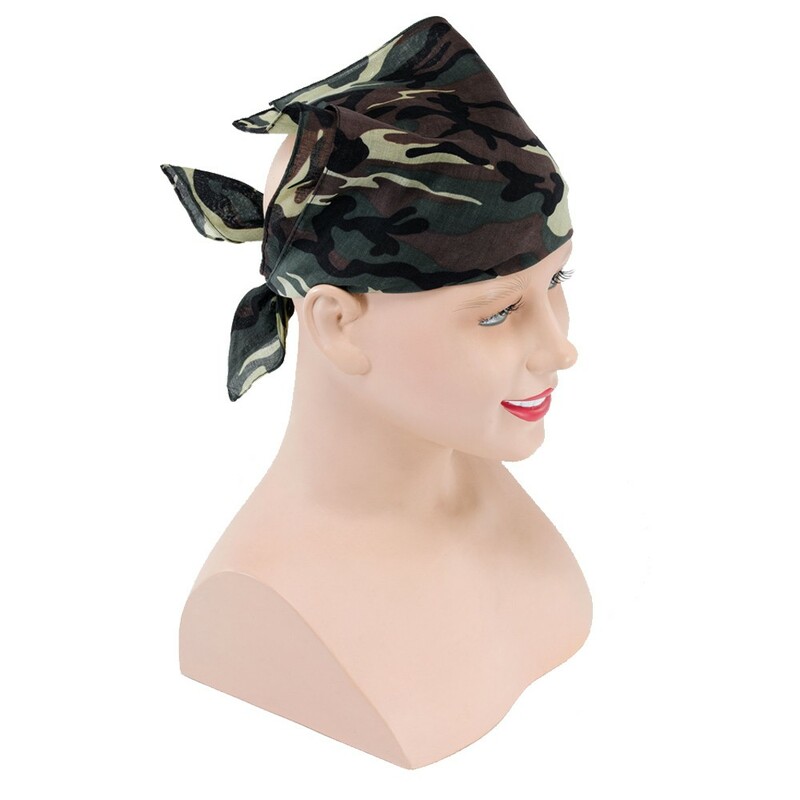 Complete any army look with this fantastic Camouflage Bandana.This Camouflage Bandana comes complete including one bandana with camouflage design. The Camouflage Bandana is the perfect accessory for any Uniform themed fancy dress look, any Army theme, or for any fancy dress occasion! So look the part no matter what the occasion with this Camouflage Bandana.